Congratulations on surviving the first three weeks of school! We hope you are all feeling more settled and are figuring out routines and strategies for staying on top of all that is going on at school and with your child’s school life. The SCO is here to help you as best we can so please feel free to reach out to us anytime. Come join the SCO on a bus tour of Tay Ho and the Old Quarter. 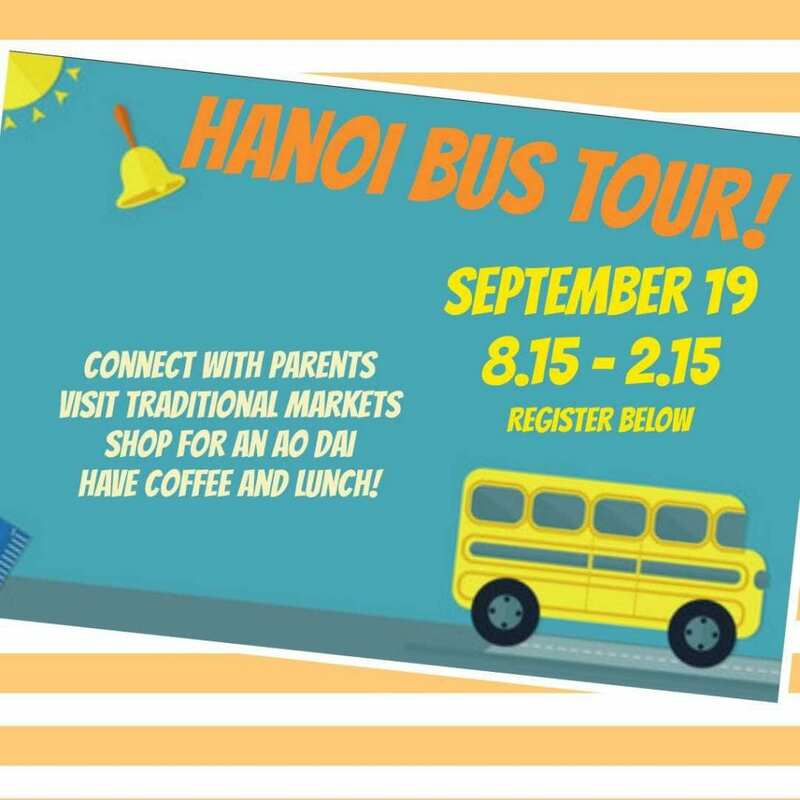 This is one of our favorite community-building events and a great way to not only see a bit of Hanoi, but also meet other wonderful parents. Registration is now open. Sign up here before September 16. Get into the groove for our totally rad 80s party! Leave the children at home and celebrate the new school year with us! This is a great night of food, drinks, music and dance organised by the School Community Organisation together for parents and faculty! You will leave this soiree with a new cohort of friends! We are currently looking for party organisers to get this party started! For any further questions, please email Esther van Tuijl at sco_ecc@unishanoi.org. Also, a reminder that this coming Monday, September 1 is Vietnam National Day (or Independence Day) and so there is NO SCHOOL. Have a nice three-day weekend everyone!